My trip to Israel was truly amazing and a spiritual life changer. I will never be the same. I learned so much about Israel and the stories in the bible. Since my return to home I have been sharing and encouraging family and friends to come and visit Israel and to take the tour with Samson Tours. My tour guide and the CEO of Samson Tours, Eitan, was very knowledgeable and anointed in his teaching and guidance. 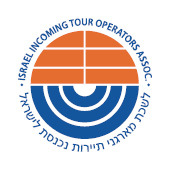 I look forward to returning to Israel with Samson Tours in the future. Thank you so much Eitan and Samson Tours for a wonderful trip. I am forever grateful.